The GCC’s construction industry outlook is catching the attention of regional and international players, as they look at the ways in which they can take advantage of the significant opportunities and longevity of the market outlook. Saudi Arabia and the UAE continue to hold poll positions in terms of project worth at present, at US$510,510 million and US$274,607 million respectively, of the total $1.3 trillion GCC market. The latest figures come from a recent report from MEED, commissioned by The Big 5 2013. Taking place from 25-28 November at Dubai World Trade Centre, The Big 5 will host more than 2,500 exhibitors from 65 countries with an anticipated 60,000 construction industry professionals on site over the four-day event. And with a history spanning more than 33 years in the region, the event sets the annual barometer for the region’s building and construction industry. Professionals from the local, regional and international markets come together to networking, debate and do business. This year, the event encompasses a new focus area for building interiors, bringing together a wide range of products and services specifically catering to this sector of the industry. The new arena provides a selective platform for this increasingly influential market segment, currently worth around $10 million within the GCC. In addition to the new arena, the exhibition will again be broken down into product specific sectors for 2013, housing exhibitors according to their product category and encompassing sectors including HVAC, Coatings, Adhesives & Sealants, Kitchens & Bathrooms, Windows & Doors, Steel, Marble, Slate & Ceramics, Water Technology and General Construction. The popular schedule of live demonstrations will also continue in 2013, with exhibitors taking advantage of the opportunity to create an ‘as-live environment’ for their products and showcase innovative technology and solutions directly to their target audience. The importance of knowledge-based content will also continue to play a key role throughout this year’s event, with free-to-attend seminars taking place in the specifically allocated theatres on the event floor. Industry leaders will present research and insight from across the building and construction industry, sharing upcoming trends and innovation, with a strong focus on sustainability, which continues to be a central theme to all elements at The Big 5 this year. Building on the success of the LEED workshops that have taken place over the past few years at the event, The Big 5 will also be hosting sessions dedicated to Abu Dhabi’s sustainable building code, Estidama, as well as workshops from Dubai Municipality and Dubai Central Laboratory. The conference at The Big 5 for 2013 has evolved to encompass the spirit in which the dedicated new product arena, building interiors, was devised. The Sustainable Design & Construction Conference will take place from 26-27 November and is set to host debate and discussion across a range of industry topics, including Master planning for sustainable cities of tomorrow and New methods and strategies to drive sustainable building practices across the region as well as information on updated sustainable building guidelines from Dubai Municipality and design showcases from a range of iconic sustainable structures in the UAE, including The Cleveland Clinic in Abu Dhabi and DEWA headquarters in Dubai. Another familiar feature to this year’s event will be the Platinum Club, which provides exclusive, invite-only access to a range of services and facilities on site at the event. The Club is open to only the most influential contractors, architects, projects managers, consultants and industry professionals, who influence the purchasing of construction products and services and are in procession of budgets in excess of $100 million. Platinum Club members have direct access to information about products they are responsible for sourcing, and The Big 5 helps to facilitate contacts and meetings for Club members, as well as use of VIP onsite facilities and free entry to selected show features. Visitors can register for free entry to the event at www.thebig5.ae/reg and save AED100 on the entrance fee. An international exhibition and publishing company, dmg events produces market-leading exhibitions and conferences for the global energy, construction, digital marketing, hospitality and interior industries, with events in the Middle East, North America, Europe and Asia. As a leading supplier of face-to-face business information, with a customer-centric focus that localizes operations and relationships, our objectives are to keep businesses informed and connect them with relevant consumers to create vibrant marketplaces across multiple event platforms and communities. dmg events is a wholly-owned subsidiary of the Daily Mail and General Trust plc (DMGT, www.dmgt.co.uk), one of the largest media companies in the United Kingdom. 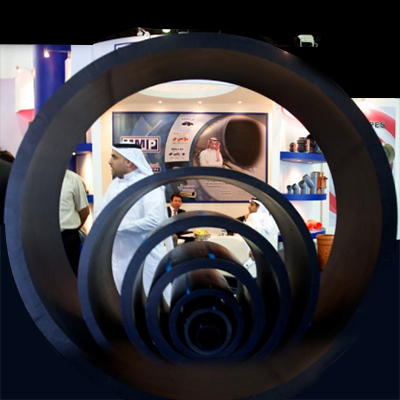 The Big 5 is the largest event for the building and construction industry in the Middle East. It attracts more than 2,500 exhibitors from 65 countries, taking place at the Dubai World Trade Centre. For more than 30 years The Big 5 has provided a business and networking platform for the construction industry. It is an opportunity for buyers and sellers of construction products and services from around the world to source an astounding array of the very latest technologies, innovations and techniques. More than an exhibition, the event provides attendees with unrivalled access to information, intelligence, contacts and hands on experience. Experts from around the world engage in the industry's most topical discussions, finding solutions, facing challenges and seizing opportunities. It is the gateway to the Middle East and North Africa (MENA) providing both exhibitors and visitors with the opportunity to conduct serious business with like-minded professionals. The Big 5 2013 is supported by Diamond Sponsor, Emirates Steel; Platinum Sponsor, Turkey; Gold Sponsors Rahji Steel and Massbetter exhibition and conference; Silver Sponsor, Qatar Steel; Free Zone Partner, JAFZA; and Official Broadcast partner CNBC.